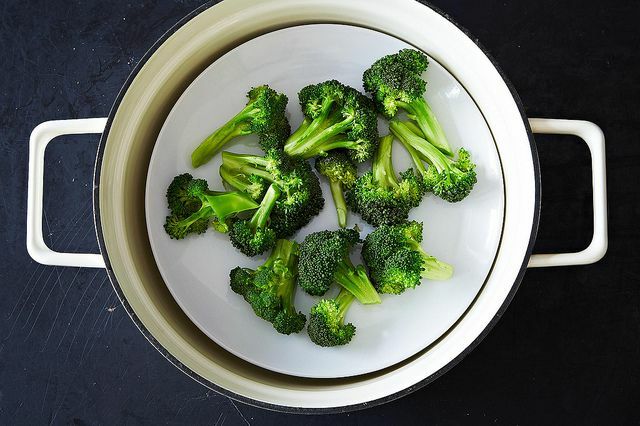 Today: Three methods for steaming vegetables, no fancy kitchen tools needed. Kitchen gadgets can be miracle workers -- just try making cherry pie without a cherry pitter -- but they also have a dark side. Not only are some tools pricey, but many are also one-trick ponies. Shell out big bucks for a kitchen torch and chances are you'll make crême brûlée once and then retire the torch to your already-crowded shelves. If you don't steam food frequently -- or if you find yourself in need of a steaming basket, stat -- don't run out and buy one. 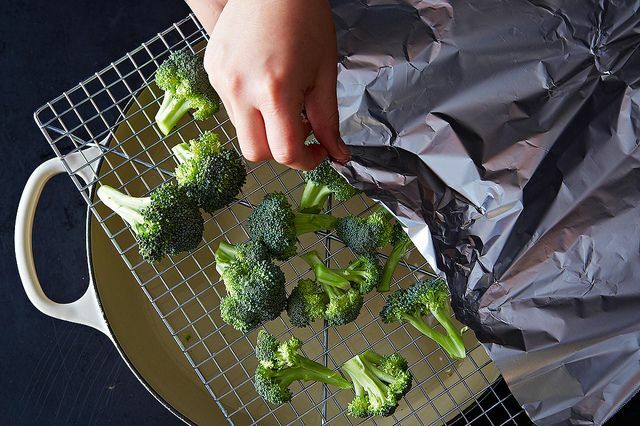 If you have a metal colander or a baking rack, a big pot, and some aluminum foil, you've got everything you need to make a steamer at home. Fill a pot with approximately half an inch of water. 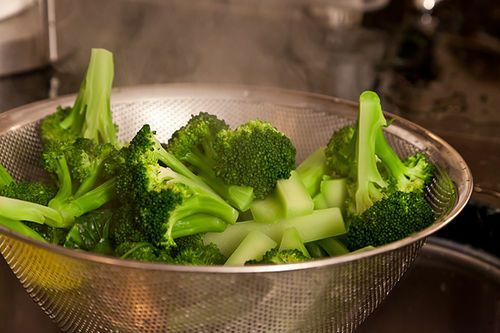 Place a metal colander or a strainer inside, leaving enough room so that the boiling water won't touch the strainer. If your strainer doesn't rest on the rim of the pot, you can hold it in place. In that case, we'd recommend using a strainer with a heat-proof handle or protecting yourself with an oven mit. Place the food in a single layer in the strainer, bring the water to a boil, then lower the heat so it's barely bubbling. 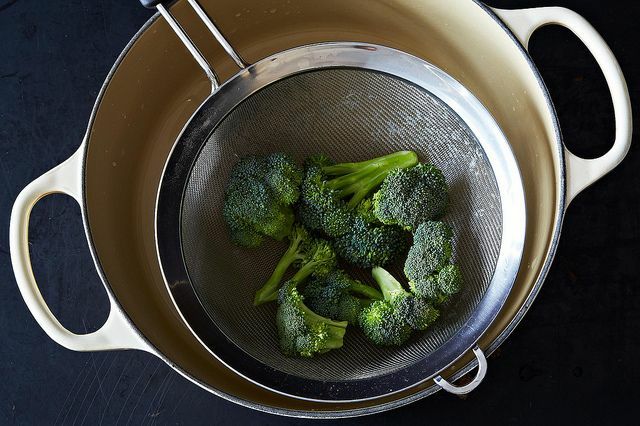 Cover the pot as much as possible in order to prevent steam from escaping. Check on your food often to prevent over-cooking! Keep in mind that steaming times will vary depending on the food you are cooking. This one's for anyone who doesn't have a metal strainer. First, fill a large pot with about half an inch of water. 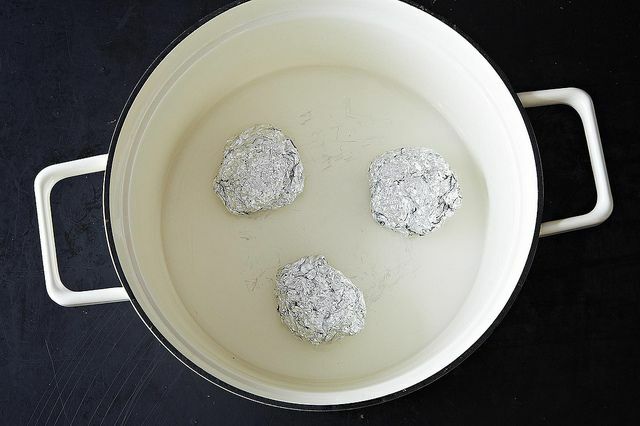 Now pause for a brieft arts and crafts project: get out your aluminum foil and make three balls of roughly equal size. Rest a heat-proof plate on top of the foil balls. If you don't have a plate that will work, you can use a small baking rack or a splatter guard instead. Place the food in a single layer on the plate, heat the water to a simmer, and cover the pot. After a few minutes, your vegetables will be ready. 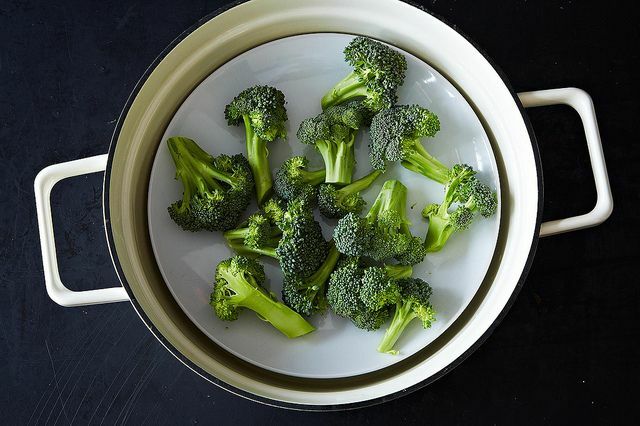 Steaming isn't just for the stovetop -- you can steam in the oven, too! For this method, a roasting pan with a rack is ideal, but if you've got a big pot and baking rack, you're golden. Heat the oven to a low temperature (approximately 200º F) and bring a teapot of water to a boil. Pour half an inch of the water into a large pot. Arrange the food in a single layer on a baking rack and place it over the pot. Cover to whole contraption with aluminum foil -- again, to stop steam from escaping -- and place the pot in the oven until the food is steamed. 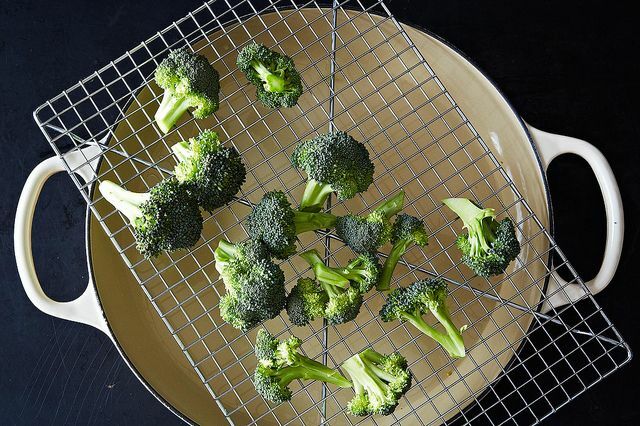 Now give yourself a pat on the back for making your very own vegetable steamer. And while you're being resourceful, check out these other kitchen hacks, as well (it turns out you don't need that cherry pitter, after all). If I have a large amount of food to steam, I just use my water-bath canning pots. It already has a wire rack. Just hook wire rack on sides of pot, fill pot with water below rack, and you have it. So easy, and you can steam a lot of food at once. If the rack hole are to large, put food in a foil bag or baking oven bag and seal. Method #2 is genius! I have no baking equipment what-so-ever. Thank you so much for creating this. HOW DO YOU GET PAST THE FIREWALL??? IM HAVING TROUBLE BOOTLOADING THROUGH THE GAS NODES. I like the lids-removed tuna can(s), plate on top method. I just checked Joyce Chen's cookbook -- she recommends coffee cans and a wok. I imagine that the rings of mason jars would also work really well, too! Those can also be tied into a ring and used as a make-shift canning rack for water processing. I had this problem while steaming lot of dishes, I came up with so many hacks 1. coeur a la creme mold - the one which is heart shaped and has holes. Second, you can also place heatproof metal trivet and thirdly you can also use strong cookie cutters/ doughnut cutters. I have used all these in a pressure cooker and they have passed the pressure test.Just my two cents.